MARUBOSHI GROUP | Translation, Interpretation - MARUBOSHI (THAILAND) CO., LTD.
Back to Fact-Link's Top Page > Translation, Interpretation > MARUBOSHI (THAILAND) CO., LTD.
We offer translation services in over 20 languages throughout the day by fully utilizing our domestic and overseas branches and by effectively using our communication network. Native speakers of the target languages are resident in our overseas subsidiary companies in Europe and Asia to ensure high-quality and quick translation services. 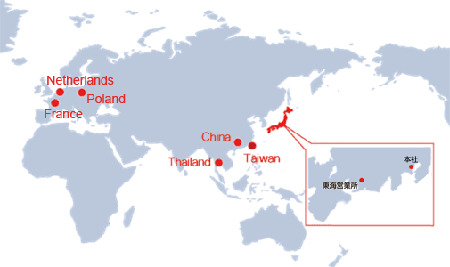 Higashiougishima Logistics Center, Senko Co., Ltd.
Guangzhou Maruboshi Documentation Technology Ltd.